In case you haven’t heard, it’s been quite hot in Southern California. I’m talking sleep with all the windows open, don’t want to turn on the oven hot. We finally got a couple of days with cool(er) temperatures, and I used the opportunity to finally light my pumpkin candle and whip up some grain free pumpkin zucchini muffins. Even though pumpkin recipes have been popping up all over the web since August, and pumpkin spice lattes have been available for weeks now (really Starbucks? ), I always try to wait and bust out the pumpkin until the weather starts to give a hint of fall, and then it’s all pumpkin, all the time. 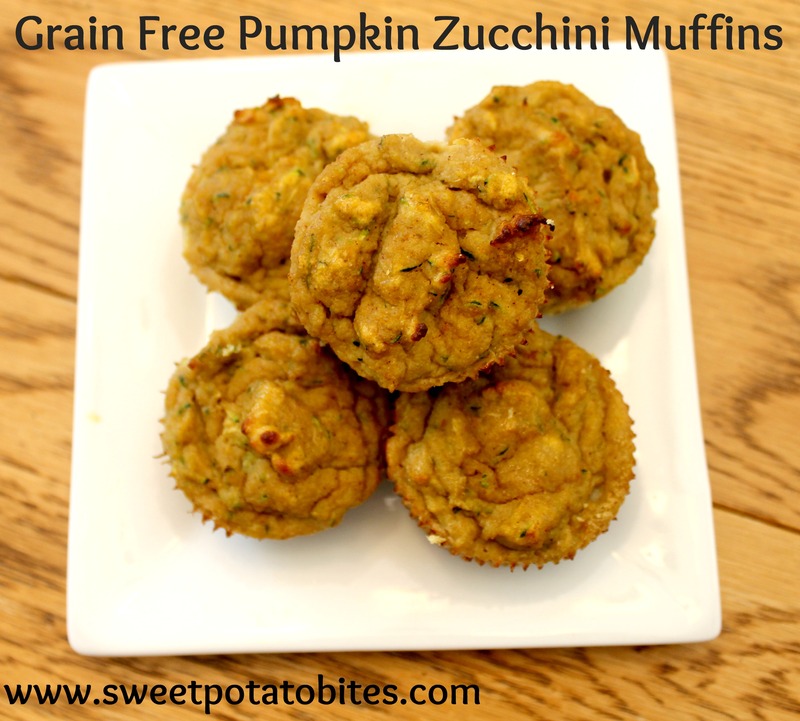 So consider these grain free pumpkin zucchini muffins a taste of what’s to come over the next few months. 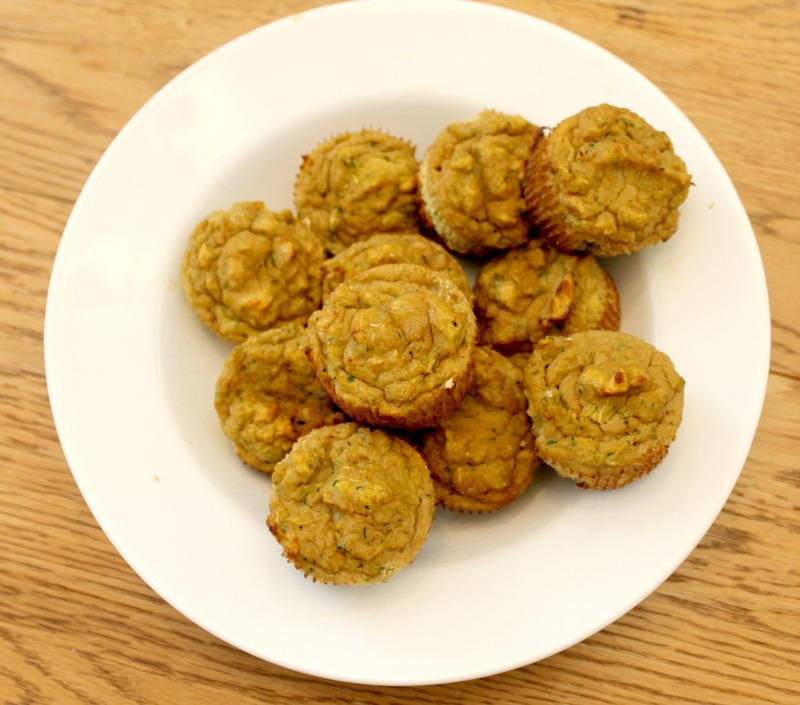 The inspiration for these muffins came from Balanced Bites’ Carrot Pumpkin Spice Muffins, only I used a combo of eggs and egg whites, and swapped carrots for zucchini instead. At first I wasn’t sure how the zucchini-pumpkin combo would pan out, but I was pleasantly surprised! These muffins also have just a small touch of sweetness from the maple syrup (the good stuff from Canada since we know it tastes better), and contain minimal ingredients. In a small mixing bowl whisk your eggs, pumpkin, vanilla, maple syrup and water until well blended. Gently fold in your coconut flour, baking soda, salt, cinnamon and ginger. Mix well. Gently spoon your batter into paper-lined muffin tins and place in the oven for 35 minutes. Remove from the oven, cool and enjoy! They are the perfect breakfast/snack/anytime treat. 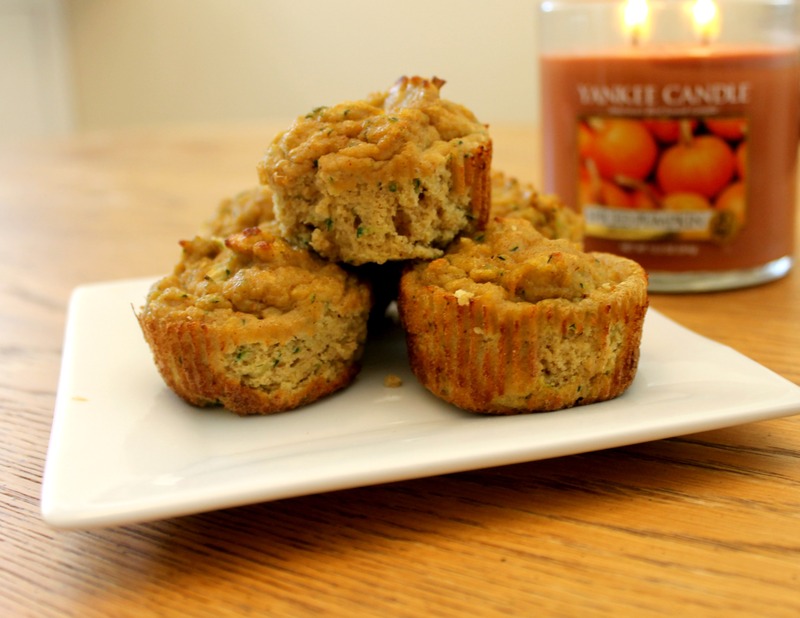 This entry was posted in Baking, Best Of, Gluten-Free, Good Eats, Paleo, Pumpkin and tagged fall, Grain-Free, muffins on September 22, 2014 by allie@sweetpotatobites. I’ve still never tried baking with coconut flour but definitely need to give it a try. I wish it felt like fall, but alas southern california weather makes it great for exercising outdoors year round, so can’t really complain. I’ve had many fails with coconut flour but this one worked! (it does give the muffins a different texture though). Oooh, I need to make these. Do you know if they freeze well?